Welcome to Madhuri Engineering Works. Manufacturer & Exporter of Electrical Components. The company was established in 1996, at Mumbai. Experienced R&D department &skilled team of experts help us to cater Indian Subcontinent, Europe & Middle East. Timely delivery, Market leading prices & various payment modes are the factors that help us to stay ahead of our competitors. We offer a huge gamut of Busbar Supports, Industrial Insulators & Meter Boxes. Our Busbar Supports are well known for their durability. 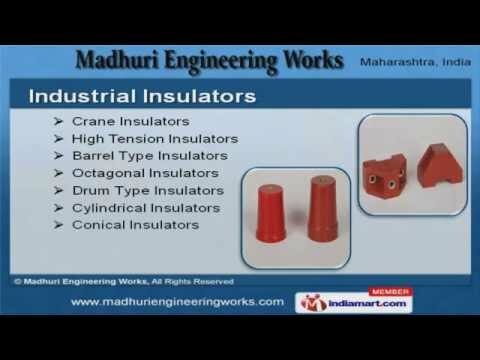 Industrial Insulators offered by us are in huge demand across the global markets. Our Pole, Junction & Meter Boxes are best in the industry amongst others. We also provide SMC - DMC Molded Components that are widely acclaimed in the market. Along with that we offer Sheet & Dough Molding Compounds that are a class apart.